Before beginning this timeline there are two alarming facts to keep in mind. 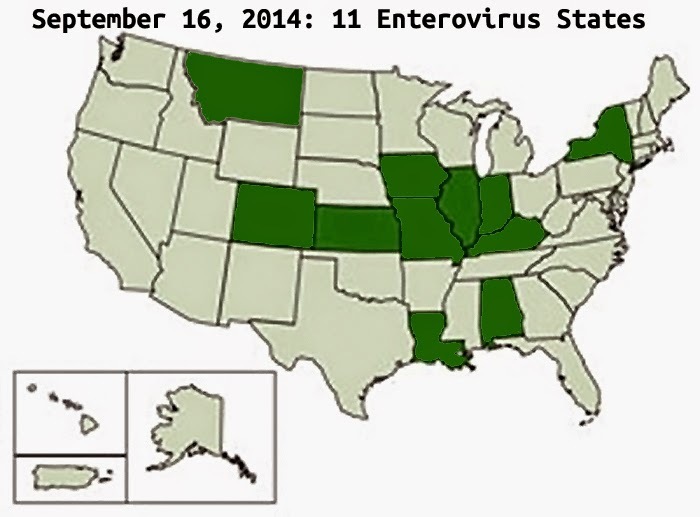 This current enterovirus strain appears more severe than previous strains. If diseases were spread to American children through the Obama Administration's unilateral amnesty and relocation programs, enterovirus is just one of many pathogens in the exposure. A dozen Colorado children have been diagnosed with polio-like paralysis, Wolk said. Although all of the children had a respiratory virus before muscle weakness set in, only four tested positive for enterovirus D68, he said. Most have gone home and are in rehabilitation. "We're optimistic that a number of them, if not the majority, will gain some functionality back," Wolk said. This year, there were among all ailments about 10 times as many sick kids kids as usual, Wolk said. "So instead of seeing one or two cases [of paralysis], we're seeing eight or nine cases," he said. is not above the age of thirty. This new directive from the Obama Administration also poisons the debate surrounding immigration reform and shows that the Administration is not serious about fixing our broken immigration system. Instead of working with Congress to address problems with our immigration system, the President is working against us. The House is working hard to improve our immigration system through a step-by-step approach but this Administration continues to politicize the issue and undermine our efforts by refusing to enforce our current laws. President Obama’s disregard for the rule of law only encourages more illegal immigration. We collected nasopharyngeal swabs at clinics located in eight Latin American countries from 3,375 subjects aged 25 years or younger who presented with influenza-like illness. Our subjects had a median age of 3 years and a 1.2:1.0 male:female ratio. Phylogenetic analysis revealed a high proportion of recombinant strains between HRV-A/HRV-C and between HEV-A/HEV-B. In addition, both EV-D68 and EV-A71 were identified. The minors are handled by an array of government agencies, all with different responsibilities for their supervision, often passing through shelters funded by the federal Office of Refugee Resettlement, an arm of the Department of Health and Human Services. Many are placed in removal proceedings and later deported. Others manage to benefit from provisions in immigration law that enable them to remain in the U.S. legally. Data compiled by that agency show that 95% of what authorities refer to as UACs—for unaccompanied children—come from Honduras, Guatemala and El Salvador, Central American republics where crime and violence have soared in recent years. HHS reported this week that the 9,881 minors who arrived through the first quarter of the current fiscal year is slightly ahead of 2013's record pace. Reports surface indicating where the Unaccompanied illegal immigrant children were secretly relocated. Eight shelters in the Chicago area hold 450 immigrant children who crossed the border illegally and without a parent or guardian. Once a month, an interfaith group visits one of the shelters to present a program with a theme like home or gratitude. The children draw pictures and sing a simple song. The adult leaders invite the children to light a candle. “You can tell that some of them really make that a time when they are praying,” said Benedictine Sr. Benita Coffey, one of the volunteers. But the ministry is momentary. Volunteers are not to form personal connections with the children, and by their next visit, most of them will have moved on. Most likely they have been sent to live with family while they await their deportation proceedings. 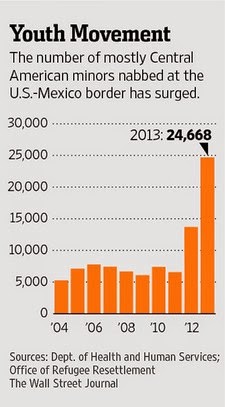 ...The surge of children has come from Honduras, El Salvador and Guatemala. ...Southwest Keys operates the San Diego shelters, and according to its website, it is the largest provider of services for unaccompanied children, with 20 shelters across California, Arizona and Texas. *We did not have a screen grab from July 2, 2014. The current image reflects the webpage on October 14, 2014. NumbersUSA is daily updating this interactive map to show which communities are under threat of the federal government moving large numbers of illegal aliens there from the border. Local media reports (see Unusual respiratory virus strikes metro kids) from Kansas City, Mo. indicate that a rarely seen – and not yet well understood – respiratory virus called HEV 68 (Human Enterovirus 68) has sickened hundreds of kids in the region this week, and that the local Children’s Hospital is unusually at full census in late August. Unlike influenza, classic enteroviruses tend to break out in summer-to-fall, although EV 68 has been observed to occur well into the winter season. The largest outbreak characterized by this MMWR report involved 28 children and adolescents from Pennsylvania in the fall of 2009. 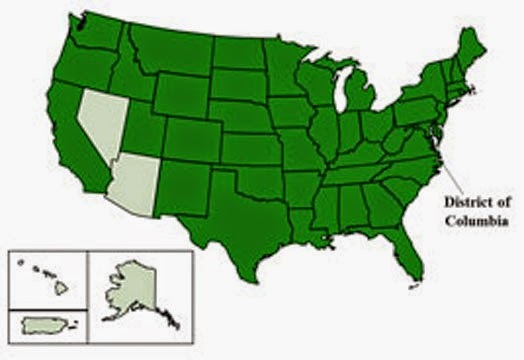 Enterovirus in U.S. populations appears to manifest as temperatures fall. This coincides with cold and flu season. Colder weather pushes more people indoors, in closer proximity to one another, with less sun exposure and more confined ventilation. HHS has strong policies in place to ensure the privacy and safety of unaccompanied children by maintaining the confidentiality of their personal information. These children may have histories of abuse or may be seeking safety from threats of violence. They may have been trafficked or smuggled. HHS cannot release information about individual children that could compromise the child’s location or identity. Four children in Lake County were sickened by Enterovirus D68 and were treated at University of Chicago Hospital, according to a press release from the Indiana Department of Health; all four have since been discharged from the hospital. Lake County is in the northwest corner of the state. As of September 11, the CDC had confirmed more than 80 cases of Enterovirus D68 in six states: Colorado, Iowa, Illinois, Kansas, Kentucky and Missouri. New York also announced on Friday that it had more than a dozen confirmed cases of the virus. October 8, 2014: The far-left desperately attempts to muddy the waters with misinformation. 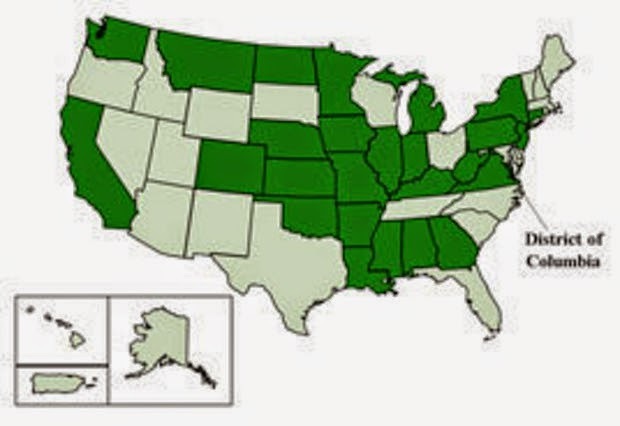 Enterovirus has begun taking the lives of children in the U.S. In response, Media Matters and other left-wing outlets have begun trying to obfuscate the emerging evidence of the source of the sudden spike in enterovirus. Public health experts have debunked the alleged connection between the influx of undocumented children into the United States and the spread of EV-D68. CDC spokesperson Jeanette St. Pierre told Media Matters: "Currently, there is no evidence from testing at CDC that EV-D68 infections in the U.S. are a result of unaccompanied minors moving into the country." The CDC spokesperson is talking about "evidence" which means scientific proof derived by the CDC. Media Matters takes this very narrow statement and accuses conservatives of lying and blaming. The spokesperson for the CDC did not say that evidence does not exist, or that the unaccompanied minors did not infect American children, just that the CDC testing had not proven the connection. According to the CDC, the D68 strain has now affected 691 children in 46 states and the District of Columbia with 13 of those cases just confirmed on Friday. So far, five children have died from the disease that is also connected with muscle paralysis in a handful of other cases mainly in the Denver area. This post has a pinch of opinion in it, but it is basically a resource for others to keep the facts straight and do further investigation. We do face a threat and it is important to understand the health threat and be prepared. So, here is some other important information. In previously documented clusters, approximately 80 % of reported EV-D68 cases occurred in children. One explanation for this finding is that most reports highlighted only paediatric cases. Our EV-D68 sequences from the Gambia, South Africa and Arizona were all obtained from children. However, a recent report from the Netherlands, which focused on screening for EV-D68 in archived respiratory samples without age bias, noted a preponderance of adult cases (Meijer et al., 2012). Additionally, NYC cases presented in our report were from individuals aged 14 years or older, which is the largest EV-D68 cluster of non-paediatric origin to date. We anticipate that, with increased screening, EV-D68 may ultimately be recognized as a respiratory pathogen in all age groups. There is currently no antiviral treatment and no vaccine to prevent EV-D68. The CDC continues to study the virus and its associated complications but does not entirely understand accept the reason for the current outbreak at this time. Wash hands often with soap and warm water for at least 20 seconds, five or six times a day (some evidence suggests that soap and water is more effective at killing enteroviruses than alcohol rubs). Avoid touching your eyes, nose, and mouth with unwashed hands, and remind children to keep their hands away from their faces. Management of asthma is especially important at this time. Be sure your child is following instructions and taking medications as prescribed by their physician. Clean often-used surfaces frequently, including doorknobs, telephone receivers, keyboards, and toys. Don't kiss, hug, or share cups or eating utensils with sick people. If you or your child have a fever, stay home while sick and for at least 1 day after the fever subsides without fever-reducing medicines. Get medical help immediately for a child with asthma who is having difficulty breathing or whose respiratory symptoms get worse or do not improve after taking their usual medications. Joyce cautions the over partner polished era beneath her, then again, conceding that: "at the time you know you look jasa review, jasa seo, panduan seo newbie, sensualitas wanita, internet marketing viral, guru cipto junaedy, cipto junaedy kaskus, cipto junaedy, profile cipto junaedy, cipto junaedy ebook, strategi cipto junaedy great yet you imagine that taking it further and into your house is a smart thought as well. When I glance back at pictures of our home in the sixties I need to concede I am humiliated! A percentage of the more light décor was dreadful. Orange shag heap rugs with enormous resep masakan, cipto junaedy tips membeli banyak properti, info terbaru cipto junaedy, cipto junaedy official, news cipto junaedy, cipto junaedy guru properti, cipto junaedy ebook, mitra seo info striking plans and things like that. You must be watchful." Tried the actual flamingo trip these days with my beautiful kids who like to seafood, we'd a pleasurable daytime. Deep Sea Fishing made it an excellent enjoyable daytime. Try this you with thankful nice holiday experience. If you call ahead they will give you the details. Family Genealogy Stories In Modern Times specifically while the coincidence has triggered fatalities, brought on bodily injury to beyond a specific financial quantity or whilst the police have mentioned the coincidence. On this instance, drug tests are finished to look whether or no longer tablets have been an issue. I am really happy to visit your blog. Now I am found which I actually want. I check your blog everyday and try to learn something new and interesting from it. Thank you and waiting for your new post. Low hormones levels symptoms, no observe worn-out so that you can organizing a cause-impact dating among the two. The simple truth is cancer malignancy cells can thrive equally nicely in alkaline environment as well.